Flute New Music Consortium is a volunteer-run 501c3 non-profit organization that encourages and supports the composition and performance of new music. Reflective of the larger goals of FNMC, the FNMC New Music Festival seeks to feature new works, facilitate connections between performers, composers, and audiences, and continue the conversation of what it means to be a musician in the twenty-first century. Performances and works may include any instrumentation and are not limited to pieces highlighting the flute. The FNMC New Music Festival will include workshops, performances, lectures, and panel discussions selected via the call for proposals, as well as events which feature composer and flutist Valerie Coleman, the final round of the FNMC Flute Artist Competition, and networking events for flutists and composers. 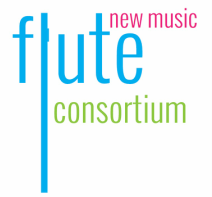 Flute New Music Consortium is accepting proposals for the inaugural FNMC New Music Festival on January 17-19, 2020 at Stony Brook University. The mission of the festival is to celebrate new music and to foster communication and collaboration between performers and composers. This event also includes a residency with flutist and composer Valerie Coleman and will feature the premiere of Coleman’s newly commissioned work for flute and piano. We welcome performances and lecture recitals that feature works by living composers or pieces composed in the last 50 years, as well as workshops, panel discussions, and lectures relevant to performers and composers of the twenty-first century. Performers may submit a single piece or multiple pieces for consideration. Presentations and workshops should be no longer than 50 minutes in length. Proposal Deadline: September 15, 2019, 11:59pm EST. Presenters/performers will be notified via email by November 1, 2019. Accepted performers and presenters are responsible for providing their own transportation/accommodations and will be expected to register for the festival ($40 for non-FNMC members and $20 for current members). *Performers proposing a lecture recital should complete the presenter proposal and include a link to a recent performance in the abstract section of the application.